Experiment details: "Samples were prepared using a QFM-5 rapid-mixing quenched-flow device. Standard pulse-labeling procedure was performed, in which deuterated unfolded lysozyme (5 mg/ml in 3 M Gdm2HCl and 500 mM DTT) was exposed to a high pH labeling pulse after various refolding periods (3.5-2000 ms) at 20 °C in 20 mM sodium acetate buffer, pH 5.6." Experiment details: "H/D exchange rates were measured using 2 mM 15N-labeled enzyme, on the basis of published resonance assignments. 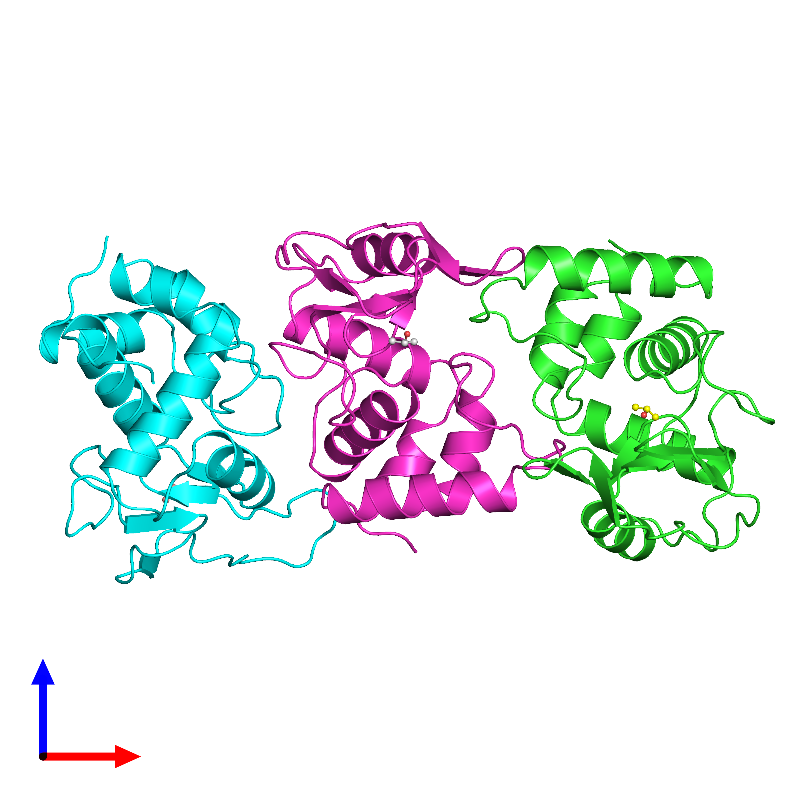 Exchange was initiated by a 10-fold dilution of a 2 mM 15N-labeled protein sample in 10 mM HEPES, pH 7.0, into a D2O solution at pH 5.6 or 4.4. Samples were subsequently concentrated 10-fold by ultrafiltration at 4 °C to give a final protein concentration of 2 mM; this procedure was repeated five times. Following exchange and concentration, the protein sample was subsequently analyzed by 2D NMR."